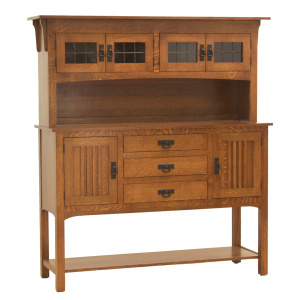 Time to dress up the look of your home with the Antique 73″ Multicolor Console. 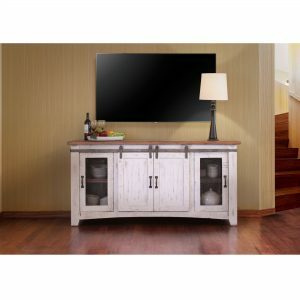 This cabinet will make a beautiful display piece in your home. 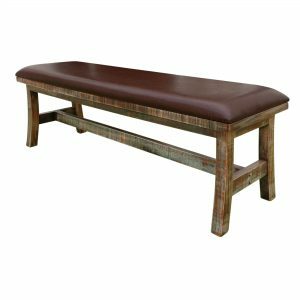 It has a 100% solid pine wood construction with a six step hand applied antiqued white finish. 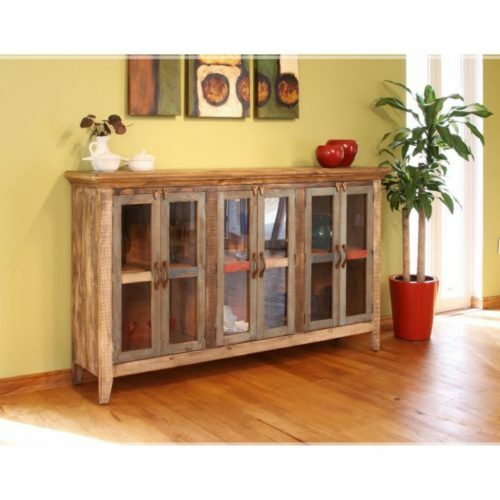 Wooden knobs on the doors complete the rustic look of the piece.